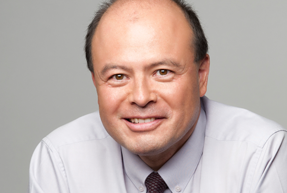 Adrian is Managing Director of Asia Carbon Search’s Southeast Asian business based in Singapore. In addition, he is the Group specialist in business infrastructure functions such as: Risk, Compliance, Operations, Finance and Technology. With nearly 30 years’ of financial services experience, of which the last 18 have been spent successfully managing Leadership Search assignments in Asia, Europe and North America across multiple business streams and functional areas, Adrian takes a truly consultative approach to his work, advising clients and candidates alike on market issues and leadership strategy. His background in commodity trading gives him a clear understanding of markets as a whole, while his experience building businesses from scratch has led to a deep understanding of the intricacies of managing differing business streams. In providing a proactive, consultative approach to every search, we are able to create a longstanding relationship with our clients built on trust as well as success. Managing DirectorAdrian is Managing Director of Asia Carbon Search’s Southeast Asian business based in Singapore.